3 Bedroom Semi Detached House For Sale in Nottingham for Guide Price £270,000. GUIDE PRICE 270,000-280,000. HOME SWEET HOME! This property is truly wonderful, built over three floors it represents modern day living to it's very best. 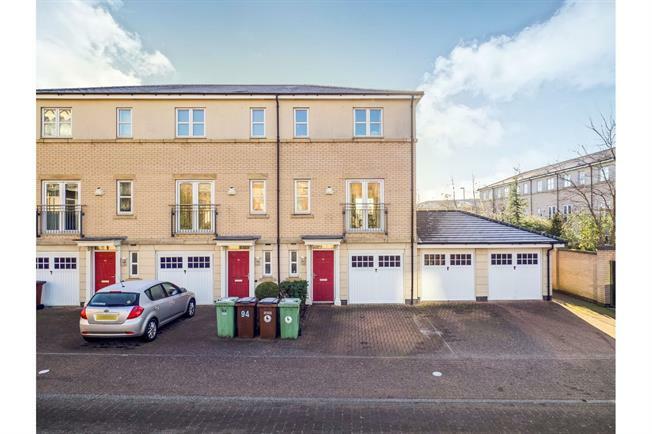 Situated behind a secure gated community and approached from a driveway this properties first appearance is something of a treat. The ground floor accommodation comprises of an integral garage, a bedroom and down stairs utility room. The first floor is made up of the living kitchen and dining area, which allows a tremendous amount of light to flow through the hub of the home. Sitting in your living room you can almost see the boats flow through the cannel toward the marina. The second floor has a further two bedrooms master with en suite and a family bathroom. This house is truly something! Ground floor bedroom with windows over looking the garden.